The Misano World Circuit Marco Simoncelli awaits the MotoGP™ riders for the 13th round of the 2015 World Championship this weekend. 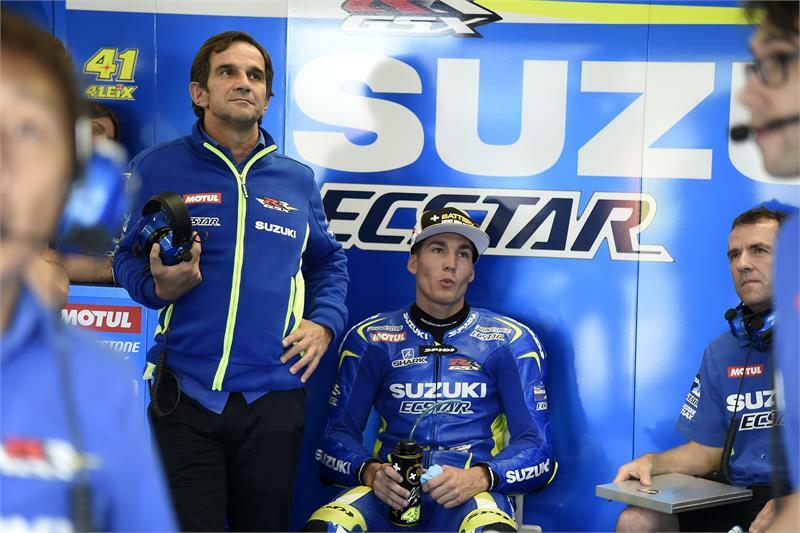 Team SUZUKI ECSTAR goes to Italy with renewed enthusiasm and confidence, having tested there in July therefore collecting important data to exploit in the up-coming race. The last round of the championship saw Aleix Espargarò and Maverick Viñales struggling a little to find the confidence they had in the first part of the season, where they constantly improved their performances. The last race at Silverstone saw them race their GSX-RR machines for the first time in wet conditions and showers that afflicted the race and warm-up on Sunday. That was extremely useful in collecting and gaining information about their machines and the race results were also solid. Both Espargaro and Viñales had some positive testing at Misano, collecting useful information to prepare for the up-coming race and also increasing their knowledge about their machines’ reactions to various settings tested. The Misano circuit has recently been upgraded in terms of Tarmac, which gave the team very positive feedback from the test. The grip is expected to be more consistent and the renewed banking gave good feelings to the riders. The circuit is still 4.2km (2.63 miles) long, with six left-hand corners and 10 right-hand, with the longest straight being 565m (1853.67 ft) in length. The surface itself is pretty much flat, without elevation changes, so fans can get the best view of the track action that creates a great atmosphere. Close to the city of Rimini, the Misano Adriatico circuit was constructed in 1972 and has since undergone an array of modifications. A regular scene for Italian Grands Prix throughout the 80s and early 90s, Misano returned to the MotoGP calendar in 2007.